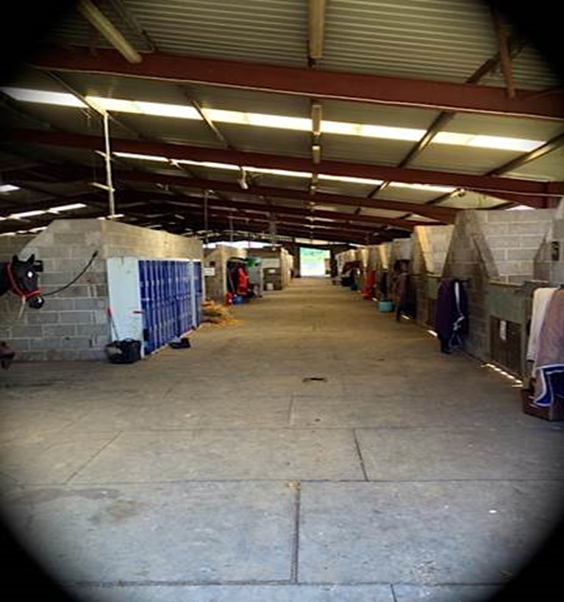 Our outdoor school measures 60m x 60m and is us ed throughout the year for jumping lessons, lunge lessons and dressage lessons. We’ve installed a summer house which offers cover when the British weather isn’t as kind! We also have several benches situated around the outside for you to sit and watch, as well as a bank to enable you to get a better view. 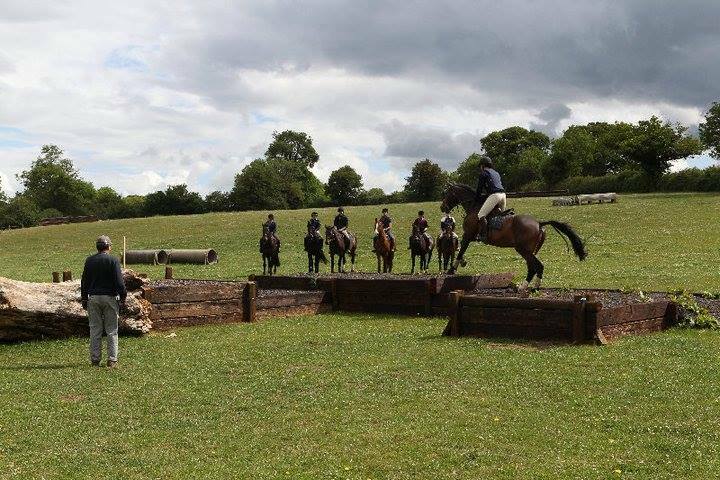 We have a full set of show jumps, including some more difficult ones to challenge you. 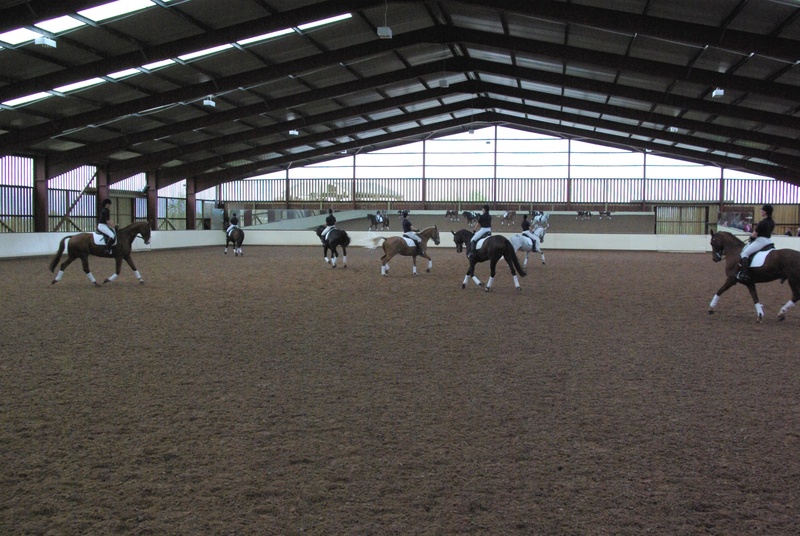 Our indoor school measures 60m x 40m and is usually split into three arenas to enable us to have three lessons going on at the same time. We have raised galleries with ample seating around the arena so you can sit and enjoy the lessons going on. For more advanced lessons, or for test riding sessions, we can split the arena into a 60m x 20m to give you a better feel for your upcoming test. The Talland café is located right next to the indoor – so why not grab a bite to eat and a cuppa whilst you watch! In these picture above you can see our two cross-country courses. We have a course at BHS Stage 3 standard, and another at BHS Stage 4 level. In the distance of the top picture, you can see the start of our Stage 3 course, which features lots of logs of varying height, several roll-tops, some small drop fences, a few ditches, a small trakehner and fixed barrels to name a few. The Stage 4 course presents more of a challenge, with bigger logs, tractor tyres, offset gates, a skinny roll-top and corner fences, as well as ‘the steps complex’ in the above picture. In addition we have an arrangement of fixed fences which offer two-stride, one-stride and corner options.